Ivana organizes all of the activities that facilitate the smooth running of the office. As an office manager she has to juggle a variety of responsibilities including administrative tasks, such as the managing of invoices, attendance, and correspondence. She is also responsible for booking transportation and accommodation, monitoring and maintaining the inventory of office supplies, and arranging for necessary repairs. 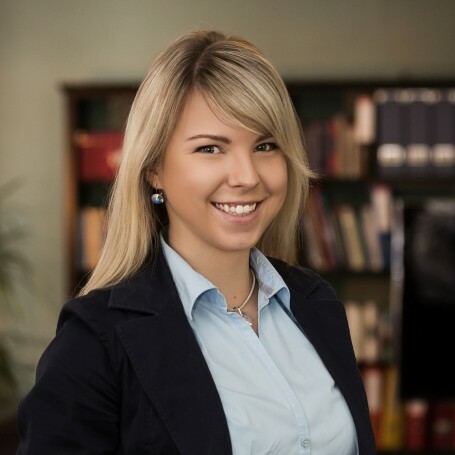 In addition, as the only Slovak employee, Ivana translates press releases and other materials into Slovak. Ivana graduated with a Bachelor’s degree in Marketing Communication from the Faculty of Mass Media Communication at the University of Ss. Cyril and Methodius. After university, she spent one year in London, where she studied English. She previously worked in administration in the accessories wholesale trade for three years. She is interested in graphic design and photography. Ivana speaks English and has begun learning Spanish.